A generous donation was made by Michele Godlevski- Teamworks Dog Training – Tunnelers Fun Run May 8, 2016 at Teamworks Dog Training – to the Hemangiosarcoma Research Project. A generous donation was made by Ed and Donna Welch in honor of Charlene Kreischer’s Birthday. Happy Birthday Charlene! A generous donation was made by Ed and Donna Welch in memory of Kazan Kreischer. A generous donation was made by Melissa Schmidt in memory of BDE Winn Mosley. 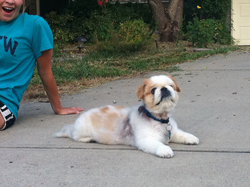 A generous donation was made by Debra Shon in memory of Theo Sloup, that crazy cheese-lovin’ shih tzu. A generous donation was made by The Modest Club in memory of Bauer “Boy” Schor. A generous donation was made by Kimberly and Larry Melen in memory of D’Lano’s Overnight Sensation UD,NA,NAJ,RE,CGC,BFL-1 “STARR”. A generous donation was made by Richard and Kristie Becker in memory of Kazan Kreischer. A generous donation was made by Judith Becker in memory of Kazan Kreischer. A generous donation was made by the Kreischer-Welch Family with love for our Kazan. A generous donation was made by Kenneth Simpson in memory of Kazan Kreischer. A generous donation was made by Linda Stanley to the Hemangiosarcoma Research Project in loving memory of Lucy Stanley. I miss you every day of my life.You were my baby & I will love you forever-Moma. A generous donation was made by Rachel Albanese to Phase II of Grant No. DK06CA-005 | Treatment of canine lymphoma with liposome encapsulated doxorubicin bound to a high affinity ligand. 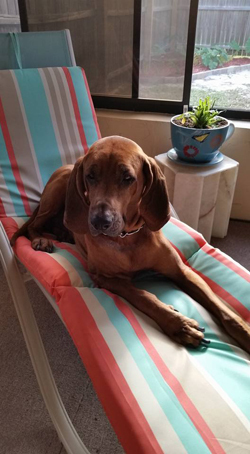 A generous donation was made by Miriam Tefts – Miriam’s K9 Corner – to the Chase Away K9 Cancer Fund in memory of Romeo Roberts. A generous donation was made by Isaiah & Arcelyn Cruz to the Hemangiosarcoma Research Project in loving memory of Snowball Brian Cruz. In memory of our strong, giving & loving boy, Snowball Brian. We love you always. 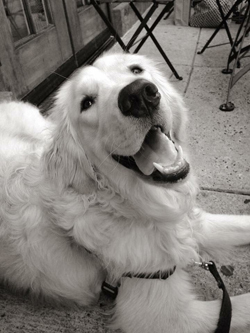 A generous donation was made by Rachel Easterin memory of Cooper Bernstein Talcott. A generous donation was made by Chris Venezia in memory of Teva. So much love for our dear friend Sandi on the loss of her beloved Teva…”…what we enjoyed, we can never lose…all that we love deeply becomes a part of us”- Helen Keller. 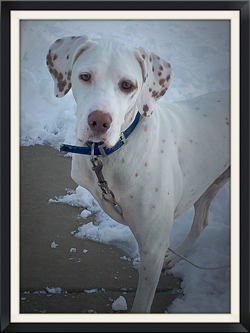 A generous donation was made by Rochelle Migliore- See Spot Run Pet Care, Inc. in memory of Brandy Armstrong. A generous donation was made by Nikki Mastro to the Hemangiosarcoma Research Project in loving memory of Brandy Mastro, we must find a cure for Hemangiosarcoma (HSA). 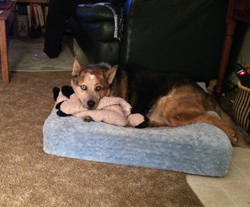 A generous donation was made by Jennifer Behrens in the memory of Turi, who was owned and loved by Georgia Demetre. A generous donation was made by Jade Womack in memory of Summer Petryszak. A generous donation was made by Heather & Karl Sather in memory of Annwn Childs. A generous donation was made by Melinda Clemens in memory of Eva Martel. A generous donation was made by Maile Krumpschmidt in memory of Mia Krumpschmidt. 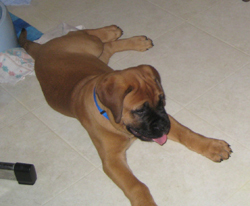 A generous donation was made by Gene and Jamie Losito in memory Frodo Busche. A generous donation was made by Carey Meredith in memory of Meadow Morgan. 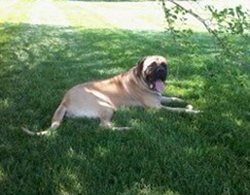 A generous donation was made by Beth Singer in memory of Hemi Beovich. A generous donation was made by Jennifer Brown in memory of Maddux Brown. A generous donation was made by Sharon Renee McMannen in memory of Scout Welch. A generous donation was made by Amber Garuckas in memory of Riley Nowak. A generous donation was made by Athena Vitale in memory of Eifel Williams. A generous donation was made by Michele Phillips in memory of Clifford Boyle. 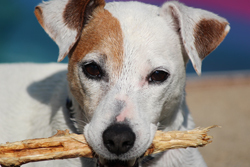 A generous donation was made by Catherine Taylor – The Dog Hut – in memory of Monroe Mathias. 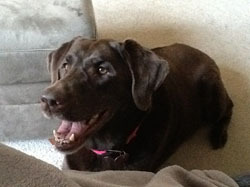 A generous donation was made by Hannah Lincoln to the Chase Away K9 Cancer Fund in memory of Angel – Cupcakes for Angel. A generous donation was made by Gaylee Duncan in memory of Sonia Swanberg. A generous donation was made by Sandy Goller in memory of Cote Holst. 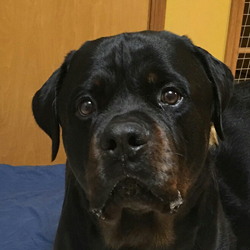 A generous donation was made by Gail Pfeiffer to the Hemangiosarcoma Research Project In Loving Memory of one of the best ambassadors of our breed … CH Asgard Oliver Twist HT PT CD RN RATI. 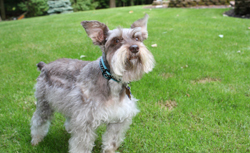 A generous donation was made by Michelle Root to the Hemangiosarcoma Research Project In Loving Memory of Oliver Twist a Standard Schnauzer who lost his life to Hemangiosarcoma on April 24, 2016. 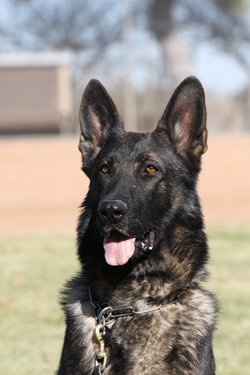 A generous donation was made by Dean & Vicki Lipski to the Chase Away K9 Cancer Fund in memory of Harley Lockwood. A generous donation was made by Kathleen Burkhart to the Chase Away K9 Cancer Fund in honor of Brian Jorgensen as a special thanks for making Andy’s “Chase Away K9 Cancer” collar & leash, who is battling prostatic carcinoma (with radiation & chemotherapy), just in time for dock jumping this weekend at America’s Family Pet Expo in Costa Mesa, CA. 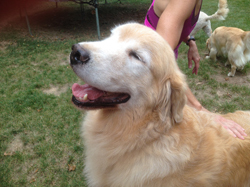 A generous donation was made by Melissa Patel in memory of Barkley. 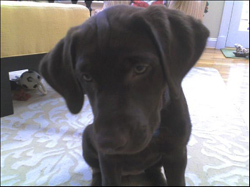 A generous donation was made by Susan & John Cox in memory of Cocoa Eisenberg. A generous donation was made by Pet Health Center of Tiffin in honor and memory of Tess Stafford. 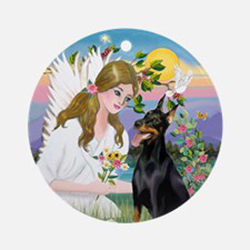 A generous donation was made by Francesca Ruggiero in memory of Bella Chandler. A generous donation was made by Brad Shafer to the Chase Away K9 Cancer Fund in honor of Veterinary Cancer & Surgery Specialists. 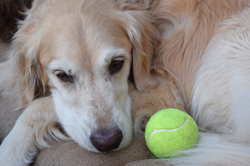 Thank you to the Veterinary Cancer & Surgery Specialists for taking such great care of our sweet golden girl – Gobi. The quality of care and super positive attitude of all of the vet staff in the face of a terrible illness has helped extend a quality life for Gobi and given us a peace of mind in making good choices about her care. Thank you! 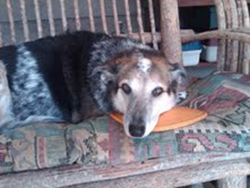 A generous donation was made by Allicia Smith in memory of Shaggy Hensley. A generous donation was made by TaMarra Woodling in memory of Chiclet Montanelli/Jimenez. 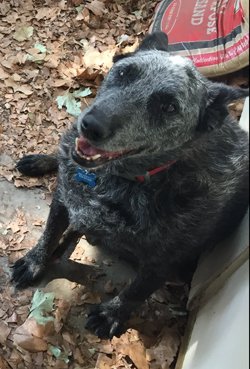 A generous donation was made by your friends: Gerrilyn, Jenn, Kirsti, Marla, Kristi, Susan, Charlie, Suzanne, Deci, & Cally in memory of Blue Goggin. 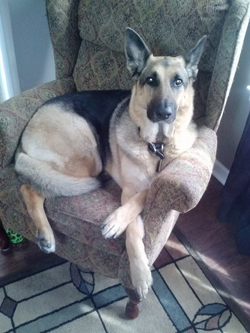 A generous donation was made by Rachel Blose- Sit Means Sit- to the Chase Away K9 Cancer Fund in memory of Lulu Uribe. 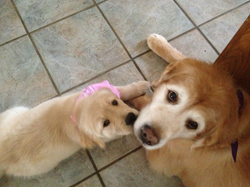 A generous donation was made by Brenda Winter in memory of Olive and Pancake Fujito. 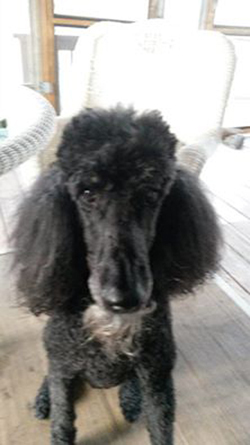 A generous donation was made by Sarafaith & Dan Pekor in memory of Abby Doodle. 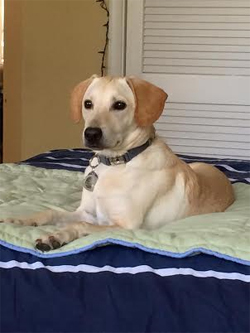 A generous donation was made by Gail Ladabaum in memory of Caymus Gerstner. Remembering Caymus on the 4th anniversary of getting his angel wings. 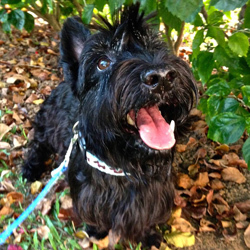 He was the most handsomest Scottie ever! A generous donation was made by Paula & Brian Wark in memory of Reese Marlatt. A generous donation was made by The Ross Family in memory of Orie Fritz. A generous donation was made by Lynn Lundgren to Grant No. 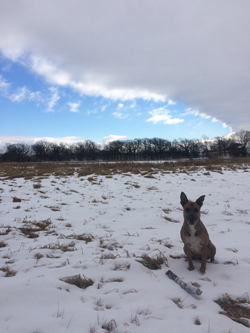 JHK15MN-004 | Discovery and pathogenic significance of chromosome translocations in canine hemangiosarcoma. A generous donation was made by Deborah Carroll in memory of Gibson Cox. A generous donation was made by John Taylor in memory of Heidi Taylor. A generous donation was made by Austin Speer to wish Lori Woroschuk a happy birthday. A generous donation was made by Amber Lindner in memory of Charlie and to wish Lori Woroschuk a happy birthday. A generous donation was made by Willard Gililland in memory of Charlie and to wish Lori Woroschuk a happy birthday. A generous donation was made by Linda Daily in memory of Charlie and Gracie Woroschuk, and to wish Lori Woroschuk a happy birthday. A generous donation was made by Rosemary Robinson in memory of Jackson Wakeling. A generous donation was made by Rochelle Migliore in memory of Bailey Tomeo. A generous donation was made by Pamela Ostrander in memory of Billie Holiday Dunn. A generous donation was made by Bethany Holbrook in memory of Diogie Holbrook. In Memory of Diogie…It has been one year since he lost his battle…April 4 2015 – April 4 2016. I love you. 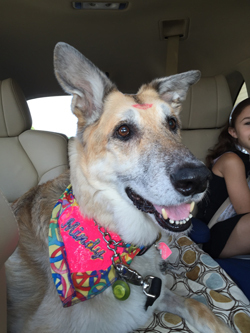 A generous donation was made by Richard Graves in honor of Bat Mitzvah and Dani’s Dog Walk. 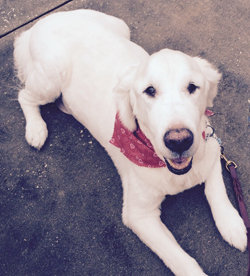 A generous donation was made by Joshua Klempner in memory of Gibson Cox. 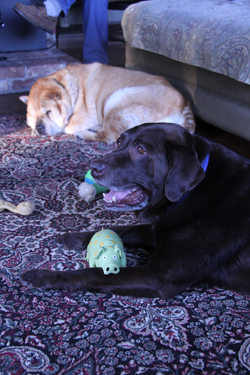 In honor of Gibson, who brought great life and comfort to his family. A generous donation was made by Kerstin Martinka in memory of Bailey Desautel. 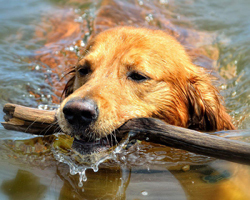 A generous donation was made by Rainier Hunting Retriever Club to the Chase Away K9 Cancer Fund in honor of Keo Lweis. RHRC thanks you for your your selfless service to our club. 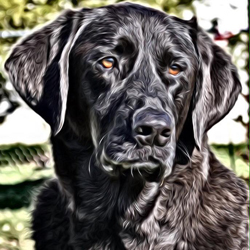 A generous donation was made by Rainier Hunting Retriever Club to the Chase Away K9 Cancer Fund in memory of Raven Strauss. A generous donation was made by Aubrey LaCrosse to the Chase Away K9 Cancer Fund in memory of Sly Piefer. Sly touched many people. She was a fighter and always gave everything she was challenged with her all. A generous donation was made by Stacy Skredsvig to the Chase Away K9 Cancer Fund in memory of Kalani. A generous donation was made by Meghan Williams to the Chase Away K9 Cancer Fund in memory of Duke Williams. A generous donation was made by Meghan Williams to the Chase Away K9 Cancer Fund in memory of Dozer Speed. A generous donation was made by Warren Holland to the Chase Away K9 Cancer Fund in memory of Layla Reece. A generous donation was made by Nancy Armatas in memory of Duke Montijo. 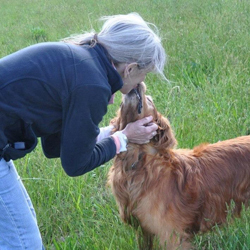 A generous donation was made by Carol Francis to the Chase Away K9 Cancer Fund in memory of Sadie Riley. A generous donation was made by Abdu Alwadei in memory of Bull. 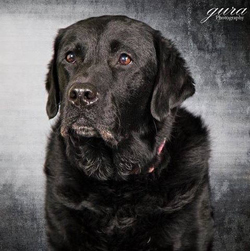 A generous donation was made by Amy Cerruto in memory of Glock Cerruto. A generous donation was made by Animal Welfare of Allegheny in honor of Ruth Prest. 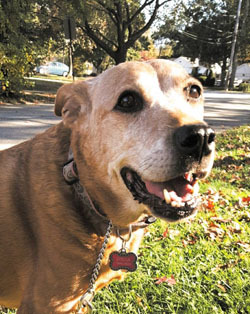 A generous donation was made by Union Hill Animal Hospital in memory of Sadie Penn. A generous donation was made by Union Hill Animal Hospital in memory of Ari Linquist. A generous donation was made by Union Hill Animal Hospital in memory of Marley Aviles. A generous donation was made by Union Hill Animal Hospital in memory of Mistik Pierce. A generous donation was made by Union Hill Animal Hospital in memory of Kelly Roberts. A generous donation was made by Union Hill Animal Hospital in memory of Bama Martin. A generous donation was made by Union Hill Animal Hospital in memory of Foxx Poole. A generous donation was made by Union Hill Animal Hospital in memory of Elizabeth Rountree. A generous donation was made by Union Hill Animal Hospital in memory of Vegas Lee. A generous donation was made by The Losasso Family in memory of Bruno Blazo. For sweet “little” Bruno. Our thoughts are with you on this day. A generous donation was made by Mary Phalon in honor of Patrick Daggett. A generous donation was made by Andrew Mesches in memory of Riley Mesches. Thinking of Riley on his special day. A generous donation was made by Marleen and Bob Smith in memeory of Zeke Sipka. A generous donation was made by Joseph Cirigliano in memory of Chi. Chi was our pretty girl that we lost due to circumstances out of our control. She was only 5 but lived a great life and brought my wife and I so much joy even in the short time she was with us. 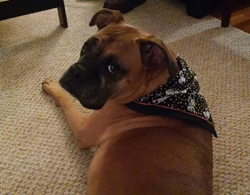 A generous donation was made by Melissa Minor in memory of Ruger Carlile. A generous donation was made by Sherry McCarthy in memory of Sage Ann Lilly. 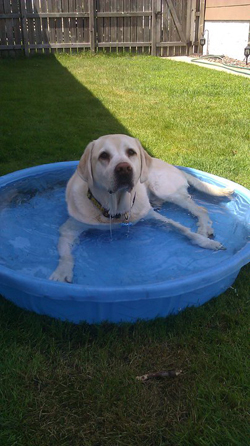 A generous donation was made by Lori Evans to the Hemangiosarcoma Research Project in loving memory of Dallas, a big loving yellow lab. Miss your kisses and your love of food. Taken by hemangiosarcoma. 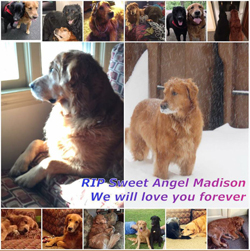 A generous donation was made by Sharron and Angela in memory of Madison Fischer. 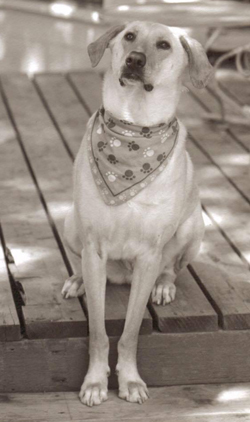 A generous donation was made by Dr. D’Lynn Thompson, DVM-La Cantar Animal Hospital-in memory of Quigley Divich. A generous donation was made by Judith and Andy Zeigler in memory of The awesome “Ace” Simberlund. 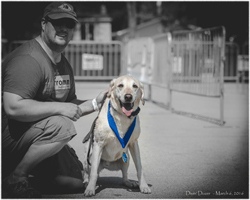 A generous donation was made by Stephen Parsons in memory of Koufax Parsons. Koufax loved going to baseball games and watching his brother strike out hitters like his namesake. He gave so much to every human with whom he came in contact. 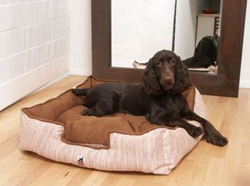 A generous donation was made by Marsy Herman in memory of CiCi The Field Spaniel. A generous donation was made by Suzanne and Rosie Correll in memory of Sammy Correll. A generous donation was made by Laura Rios in memory of Bernard Livingston. 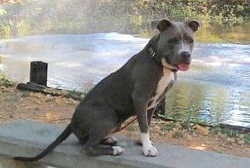 A generous donation was made by Dori Szudy in memory of Blu Blue. A generous donation was made by Susan Mendez, DVM in memory of Ren Day-Durig. A generous donation was made by Anne Ovesen in memory of Stephen Hammond. A generous donation was made by Judith Kettenstock in memory of Louie McCormick. A generous donation was made by Rick Green in memory of Siena Marx. A generous donation was made by Kara Causey in memory of Colt Brinlee. A generous donation was made by Sabrah Wilkerson in memory of Zoe Love Wilkerson. Zoe Love Wilkerson was a huge part of our lives for 13 years. She had the biggest heart in the littlest body. We will love you forever our sweet angel! A generous donation was made by MK Lowe in memory of Beaufort Aman. A generous donation was made by Shanyn Claycomb in memory of Zena Pagels. 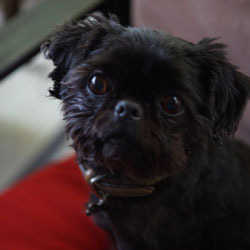 A generous donation was made by Billy and Vicki McEwin in memory of Snickers Wilson. A generous donation was made by Beth Leahy in memory of William Watts. A generous donation was made by Kady Yeomans in memory of Tiberius Hixson. 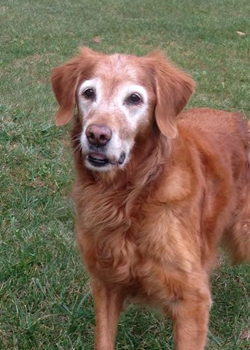 A generous donation was made by Janet Colby to the Hemangiosarcoma Research Project in memory of Amber Gardner. A generous donation was made by Lesley Connor in memory of Helen Benanito. A generous donation was made by Dian Deimler in memory of Tex Knowles. A generous donation was made by Kimberly & Ruby Siegfried in memory of Helen Benonito. A generous donation was made by Karyn Hemphill in memory of Rudy Small. A generous donation was made by Anne Russell in memory of Matty Rais. A generous donation was made by Rosalind Jos in memory of Tennyson Jos. A generous donation was made by Casey L Palmer to the Hemangiosarcoma Research Project in loving memory of Jae Reno. A generous donation was made by Sandra Snyder in memory of Helen Benanito. A generous donation was made by James & Sara Mihalek in memory of Tessa Marie Hanover. A generous donation was made by Adam Simmons in memory of Muff Peckinpaugh-Green. A generous donation was made by Linda Rosenberg in memory of Helen Benanito. A generous donation was made by The Schweitzer-Doerfler’s in memory of Cassie Doerfler. 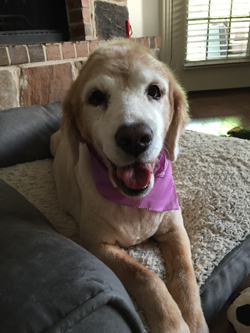 A generous donation was made by Kelli Brasher in memory of Sugar…survivor of lymphoma….victim of hemangiosarcoma. A generous donation was made by Randy Rettig in memory of Cassie Doerfler. 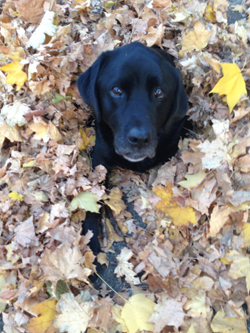 A generous donation was made by Tiffany Duffy to the Discovery and pathogenic significance of chromosome translocations in canine hemangiosarcoma in memory of Otis. A generous donation was made by Ann Chamberlin in memory of Buster BrownTown. 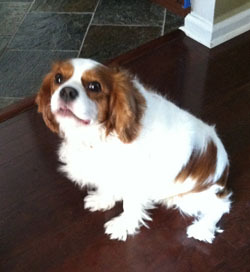 A generous donation was made by Valerie Childs in honor of our dear precious Rudy who we love and miss so much. A generous donation was made by your Tampa team in memory of Stella Taylor. 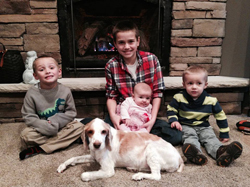 A generous donation was made by your family at Advanced Disposal in memory of Ellee Galinski. A generous donation was made by Anne Jenkel in memory of Roxy Edmonds-Neill. A generous donation was made by Christina Coxe in memory of Marlon Ramella. A generous donation was made by Dr. Patrcia Ungar and the staff of Kensington Veterinary Hospital in memory of Syre Lacny-Bahr. A generous donation was made by Mary Webber in memory of Seamus Webber. 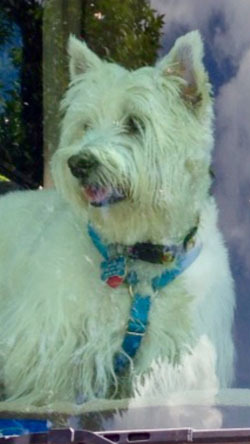 Seamus 2000 – 2016. A gallant spirit. A generous donation was made by Lindsay Boehmer in memory of Winston Boehmer. A generous donation was made by Deborah Pellen in honor of Emily Schorr’s Bat Mitzvah. smiles to everyone’s face. Love you! A generous donation was made by Roberta Garrett in memory of Kiko Sheridan. 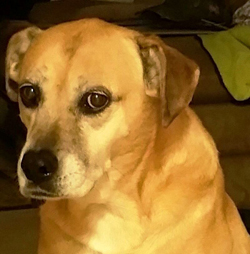 A generous donation was made by Amber Woodard in memory of Sadie Gary. 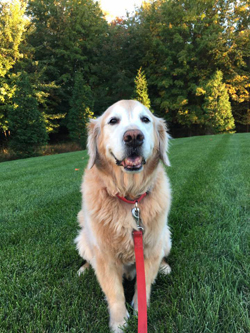 A generous donation was made by Joseph Eckl to the Hemangiosarcoma Research Project in loving memory of Jackson the Golden who left us suddenly at age 7 from aprobable hemangiosarcoma. A generous donation was made by Mike & Joan Hickey in memory of Nancy Craig Kimbrough. A generous donation was made by Kim Toney in memory of Harlow Ryburn. A generous donation was made by Alison Calise to the Hemangiosarcoma Research Project in loving memory of Mack “Mackie” Calise. 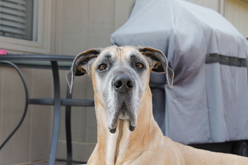 Mackie was diagnosed with Hemangiosarcoma on Nov 2015 and past away Feb 2016. Loved him! Wonderful part of our family for 12 years. Our hearts are broken and he is missed very much. 8/3/2004-2/22/2016. A generous donation was made by Sam & Patricia Gaither to the Chase Away K9 Cancer Fund in honor of Marion County Sheriff’s K9 officer “Yo”. 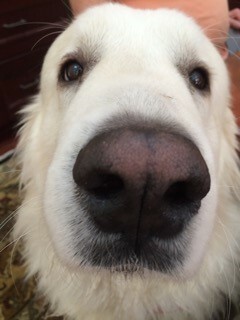 A generous donation was made by Jeanne Larkin – and all your friends at Northeast Pyr Rescue – in memory of Maxxie Smith. A generous donation was made by Rebecca Gadzuk in memory of Atuk O’Shea. In loving memory of the king of the dogs, King Tuk! 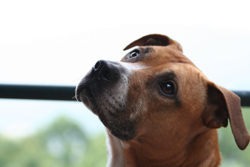 A generous donation was made by Lisa Rogers to the Hemangiosarcoma Research Project in loving memory of Django – my heart and soul. A generous donation was made by Christopher Rybicki in memory of Pippa Larson. A generous donation was made by Mollie Grow in memory of Wayne Spencer. A generous donation was made by Karen Newey in memory of Hudson Alting. A generous donation was made to the Hemangiosarcoma Research Project by Teamworks Tunnelers Fun Run Event 2/21/16. A generous donation was made by Rosalind Granitz in memory of Dan Keefe. A generous donation was made by Patricia Bowling in memory of Bentley Moon. A generous donation was made by James & Sara Mihalek in memory of Luke Kramer. A generous donation was made by Helene Fenlon to honor Scott Bagger’s Focus Class. A generous donation was made by RoseMary Citrola in memory of Daisy Citrola. 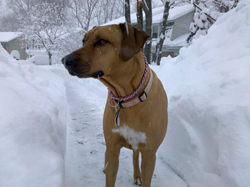 A generous donation was made by Nicole St. Pierre in memory of Sadie St. Pierre. A generous donation was made by The Klocek Family in memory of Gimli Temple. A generous donation was made by The DiFederico family in memory of Tovi Cogan-Gniewek. 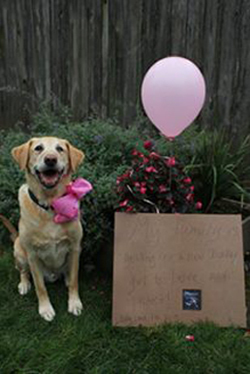 A generous donation was made by Lindsey Parker in memory of Daisey Parker. The best dog & best friend anyone could ever ask for. Truly one of a kind. Always enthusiastic & ready for the next adventure. 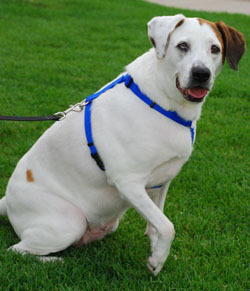 Full of love & full of life, Daisey could bring a smile to anyone’s face. A generous donation was made by Melisa Riego in memory of Katie Bear. In memory of our precious Katie Bear – never forgotten and always loved. You were always so perfect and sweet. We miss you so much! A generous donation was made by The Ward Family in memory of Tucker and Madison Todd. 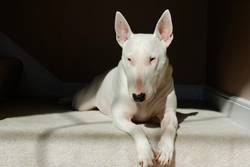 A generous donation was made by Diana Nunnold to the Hemangiosarcoma Research Project in memory of Maddie Nunnold. If Love alone could have kept you here, you would have lived forever. 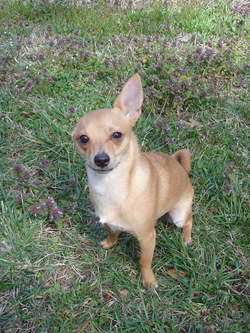 A generous donation was made by Tonai Lehr in memory of Bronx Pepito-Summerton. A generous donation was made by Mary Phalon in memory of Copley Yannone. A generous donation was made by Rebekah Altizer in memory of Mia Belcher. A generous donation was made by April Carmichael to the Hemangiosarcoma Research Project in memory of Bridgett Carmichael. 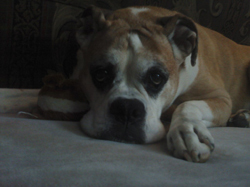 Bridgett was a member of our family for almost 12 years, she was loved immensely! A generous donation was made by Stacy Herig- A Second Chance Puppies and Kittens Rescue- in memory of Brady Auger. 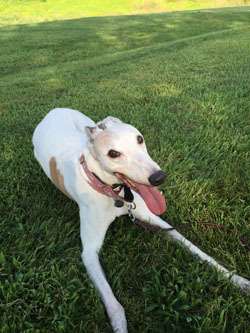 A generous donation was made by Sam Bellaccomo to the Hemangiosarcoma Research Project in memory of Eleanor4ever. A generous donation was made by Carol Sasala in memory of Reyes Burchanowski. A generous donation was made by The Welch Family in memory of Sally Miller. A generous donation was made by Amy Reynolds in memory of Millie Tracey. A generous donation was made by Trudy Conner in memory of Rocky Campbell. A generous donation was made by Venus Kile in memory of Buddy Hancock. A generous donation was made by Kevon, Tiffany, and Makenzie Ward in memory of Ali Ward. This is a memorial for Ali Ward my beloved son and buddy. We had 9 years of great times and we will meet again. Rest in heaven Ali. 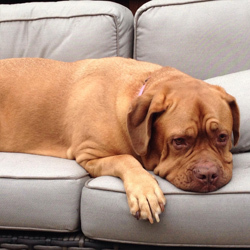 A generous donation was made by Suzanne & Matt Tefft in memory of Zuri Frank. A generous donation was made by Wendy Silva in memory of Chubbs Speechly. 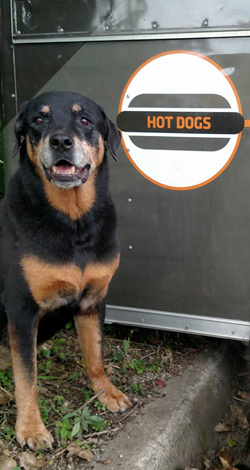 A generous donation was made by Andrea and James Schenck in memory of Hercules, so in the future no dog or human alike will have to go through this, in the future no more lives will be cut short. 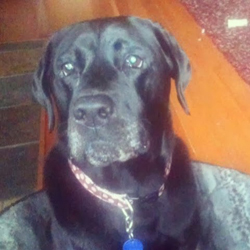 A generous donation was made by Meagan Day in memory of Piper. 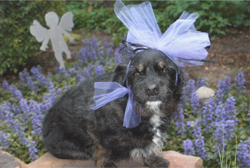 A generous donation was made by Julie Bartz DVM and everyone at DC Ranch Animal Hospital in memory of Gucci Vandivert. 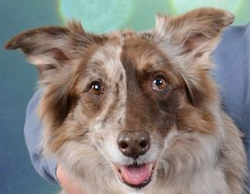 A generous donation was made by Julie Bartz DVM and everyone at DC Ranch Animal Hospital in memory of Daisy Bend. 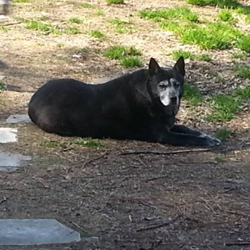 A generous donation was made by Julie Bartz DVM and everyone at DC Ranch Animal Hospital in memory of Shadow Heinz. A generous donation was made by Alexis Sasala in memory of Reyes Burchanowski. 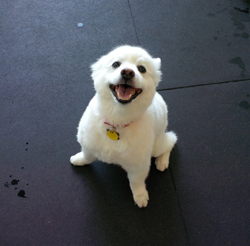 A generous donation was made by Jim Mihalek & Sara Grachek in memory of Sunny Vespested. A generous donation was made by Mike & Joan Hickey in memory of Hershey Prince. 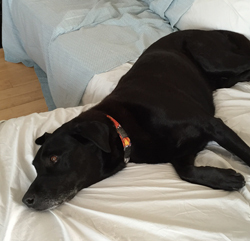 A generous donation was made by Maite Dezendorf in memory of The Barrett Family’s beloved dog. A generous donation was made by Janet Colby in memory of Sparkle Warnken. 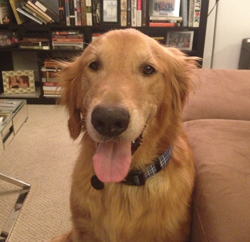 A generous donation was made by Jill Jebbia in memory of Bodie Mcgannon. 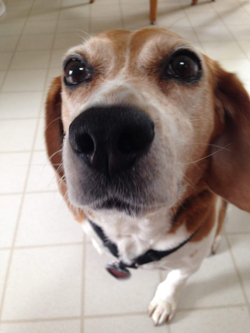 A generous donation was made by Union Hill Animal Hospital in memory of Daisy Tabor. A generous donation was made by Union Hill Animal Hospital in memory of Daisey Degarde. A generous donation was made by Union Hill Animal Hospital in memory of Spanky Nailor. A generous donation was made by Union Hill Animal Hospital in memory of Zoe Brockman. 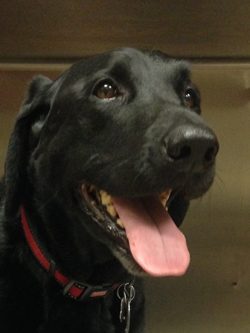 A generous donation was made by Union Hill Animal Hospital in memory of Spencer Culpepper. A generous donation was made by Oscar Rodriguez in memory of Otis Appelt. A generous donation was made by Jan McKnight in memory of Maxwell Henderson McKnight. To my best buddie and companion. Thanks for being there for me. I love you and will see you again. A generous donation was made by Alexandra Lawyer to the Hemangiosarcoma Research Project in loving memory of Lincoln the Strong! 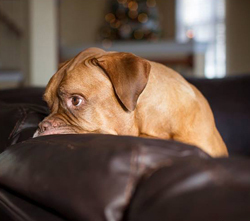 A generous donation was made by Shannon Moody to the Hemangiosarcoma Research Project in loving memory of Kathleen Elberson’s Lincoln – this lovable guy was irresistible and will be missed! 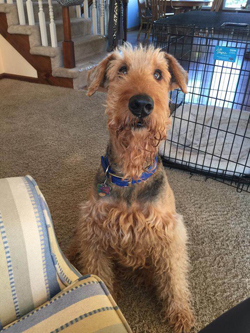 A generous donation was made by Kathleen Elberson to the Hemangiosarcoma Research Project in loving memory of Lincoln Elberson. Lincoln, you were a fighter until the end! I will love you always. A generous donation was made by Vicki McEwin in memory of Gracie Crouch. 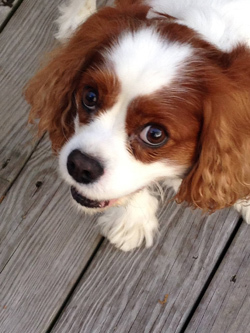 A generous donation was made by Clarice Grimmett in memory of Cooper Feldhouse. 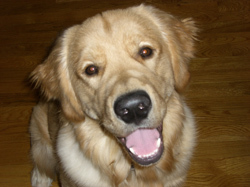 A generous donation was made by Jennie Marvelle, DVM in memory of Brady Ramsay. A generous donation was made by Cody Medlen in honor of Freddie Medlen who passed away surrounded by love after a short battle with Protein Losing Enteropathy. He will be missed but never forgotten. Run free with the angels, sweet prince. 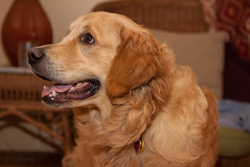 A generous donation was made by Dean & Vicki Lipski in memory of Coby Lenizo. A generous donation was made by Janet Colby in memory of D-NA (Dena) Marie Marks. 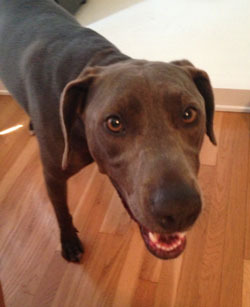 A generous donation was made by Becca Polka in honor of Memphis’ 7th Birthday. A generous donation was made by Andrea Koop in memory of Calvin Cole. A generous donation was made by Dana Nelson and your KIC friends in memory of Kestrel Burri. A generous donation was made by Randy Zechman – Clean Solar in honor of Audrey Massoni’s solar installation. 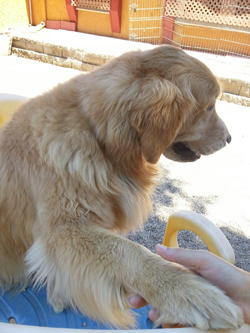 A generous donation was made by Donna Burlingame to the Hemangiosarcoma Research Project in loving memory of Jesse. 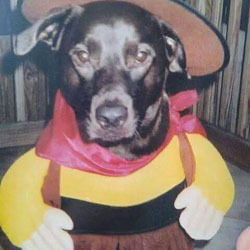 Jesse, who I lost 3 years ago today to this terrible disease. I miss him more than words can say. 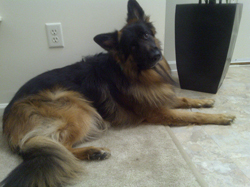 A generous donation was made by Cari Chaney in memory of Maximus Blount-Taubman. A generous donation was made by Beverly Spencer in memory of Andy Wildes. A generous donation was made by Nicole Sullivan in memory of Charlotte Stevenson. A generous donation was made by Daniel Saltzstein in memory of DR. Seuss Hargreaves. A generous donation was made by Arnaud Tesson to the Hemangiosarcoma Research Project in loving memory of Amos Tesson. A generous donation was made by Martha Baggs in loving memory of Diane Cordero’s mother, Yolanda Cordero. A generous donation was made by Lynn Scuderi in memory of Count Drake Scuderi. A generous donation was made by Lynn Scuderi in memory of Rocky Scuderi. A generous donation was made by Paulette Lerman in memory of Brandy Stober. A generous donation was made by Mike Howell in memory of Zoe Ory. A generous donation was made by Brenda Foor in memory of Ozzie Streeter. A generous donation was made by Elizabeth & David Conway in memory of Maya Heidesch. A generous donation was made by Lisa Drewing in memory of Trooper Ison. A generous donation was made by Cathy Wolfe in memory of Bamboo. A generous donation was made by Dominic & Janet Genuardi Family Foundation to the Dr. Childress/Purdue University research on B-cell Lymphoma (MC15IN-001) in memory of Jones Genuardi. 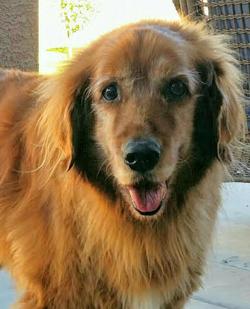 A generous donation was made by Sharon Montelongo in memory of Abby Wade. A generous donation was made by Teresa Boedeker in memory of Super Duper Psyched & Ready—Psych. 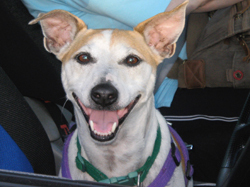 A generous donation was made by Michael Ferneyhough in memory of Sadie Dingus. A generous donation was made by Kathleen Bock in memory of Jill Newlon. A generous donation was made by Colleen Buss in memory of Piper Freeman. A generous donation was made by Georgia Crider in memory of Cooper Morgan. “…They embrace with a love that will last forever and then, side by side, they cross over…together.” At Rainbow Bridge 4/23/99 to 7/12/10 Nasal cancer. A generous donation was made by Mary Ellison in memory of Rocky Mellis. A generous donation was made by The Morris Family in memory of Cami Maberry. 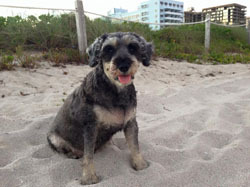 A generous donation was made by Hugo & Megan Cubias in memory of Shadow Cubias. Sweet Baby Girl-We miss you so much. No words can describe the pain we feel without you here. You will always be a part of our family. We love you so much. Run free and eat lots of bully sticks. Love You! 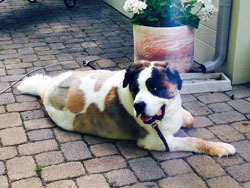 A generous donation was made by Kathleen Haselden to the Hemangiosarcoma Research Project in memory of Angus Haselden. 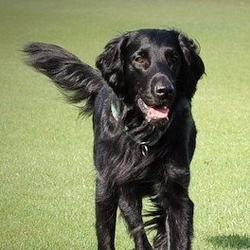 Angus passed away from heart HSA in March 2012. 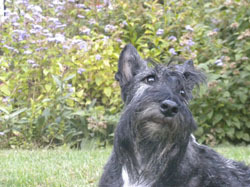 A generous donation was made by Cathy Nordhues to the Hemangiosarcoma Research Project in memory of Stuart the Scottie. A generous donation was made by Roger Dale in memory of Kat Kiser. Happy Birthday Kat! We love and miss you!!! A generous donation was made by Sam Bellaccomo to the Hemangiosarcoma Research Project in loving memory of Eleanor Bellaccomo. 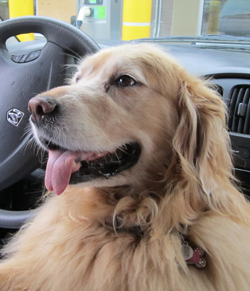 A generous donation was made by Kristi McCormick in memory of Daisy McCormick. I lost my best friend. It was the biggest heart break I have ever had. I am donating to hopefully find a cure for colon cancer, and help the future dogs that have this problem. 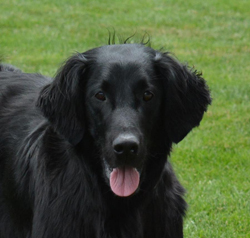 A generous donation was made by Karen Lande to the Hemangiosarcoma Research Project in memory of Stuart, of The Scottie Chronicles, we hold you in our hearts forever! A generous donation was made by Brad McDonald in memory of Milo McDonald. A generous donation was made by Melissa Tardif in memory of Zoey Thornton. A generous donation was made by Sharon Cooperman in memory of Calie Bower. A generous donation was made by Melissa Mascari in honor of Cora’s 1st Birthday! A generous donation was made by Andrea Ritchie in memory of Malcolm Johnson. A generous donation was made by Jessica Bergsten in memory of Finn Rathke. A generous donation was made by Jessica Hewes in memory of OTCh GOCH SHR SR Fireside Snap N Crackle UDX4 VER ASCA-UD JH WCX JJ OBHF. A generous donation was made by Christopher Quintos in memory of YLLEK. A generous donation was made by Bernadette Schumann in memory of Ben Pesco. 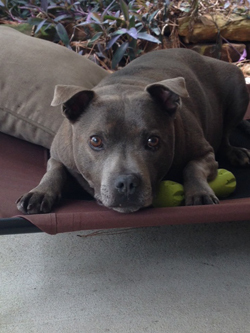 A generous donation was made by Cynthia & Steve ONeill in memory of Muffie Pitbull. 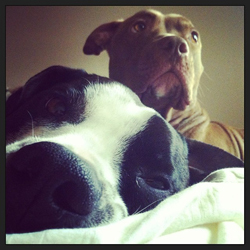 A generous donation was made by Jennifer Alfonso in memory of Sweet Dylan & Shakespeare. A generous donation was made by Donna Smith in memory of Galen & Luke. 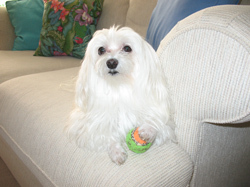 A generous donation was made by Linda Watkins to honor Splatter, my cancer survivor. A generous donation was made by Howard & Lucretia Shapiro to the Chase Away K9 Cancer Fund in memory of Angel Sierra and in honor of new puppy Samantha. A generous donation was made by Brenda & Kenneth Rowland to the Chase Away K9 Cancer Fund in memory of Gunner (aka Gun-Gun) Lavoie. A generous donation was made by John & Carol Knight in honor of Gary Nice, and the National Canine Cancer Foundation. Thanks Gary for all you do. We too have lost fur friends to cancer over the past 20 years. A generous donation was made by Suzanne & Steve White in memory of Abby Leggio. A generous donation was made by Tiia Fischer in memory of Joey Cominelli. A generous donation was made by The Smith Family in memory of Tucker Smith. We miss you Tuck. Love, All of us. A generous donation was made by Greg Filter in honor of James Luoma – Southside Veterinary Clinic. In honor of your help when Kieran was so profoundly ill. I have been donating to this cause for several years. A generous donation was made by Susan/Stacey Gunnels/McCord in memory of Iris. Iris lost her battle with Lymphoma in May 2012 after a 1 year battle. We still miss her and always will. 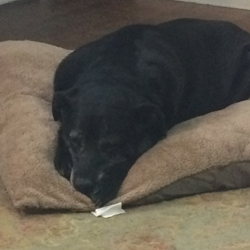 She was an incredible dog and friend for almost 12 years. A generous donation was made by Sherri Porterfield in honor of Southern Arizona Veterinary Hospital. Thanks to Dr. Klein and her staff, Sima is celebrating New Years with us. A generous donation was made by Elizabeth Hurst in memory of Kayla Hurst. A generous donation was made by Phyllis Egan in memory of Benny Vitale. A generous donation was made by Caroline Meehan in memory of Mosley Meehan. A generous donation was made by Diane Peters/Lindley to the Hemangiosarcoma Research Project in loving memory of Chance Lindley. 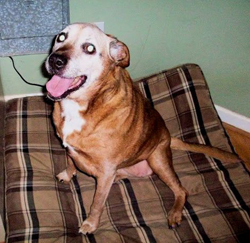 A generous donation was made by Aimee & Michael Losasso in memory of Roxy Losasso to Grant No. MC15IN-001- Biodynamic imaging as a promising strategy for personalized therapy of canine diffuse large B-cell lymphoma. 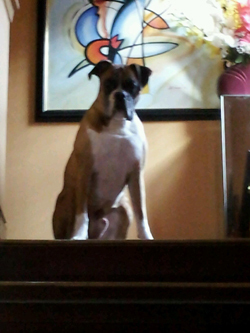 Roxy, you’ll always be remembered and missed! A generous donation was made on behalf of Community Police Academy #39 in memory of SPD K9 Officer Dennis. A generous donation was made by Andrew Cordiner Jr. in memory of Skyler (Gummy) Cordiner. In memory of Gummy….Forever in our hearts. 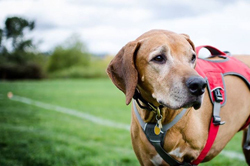 A generous donation was made by Jerry Stevens to the Hemangiosarcoma Research Project in Loving Memory of Big Red Stevens – may our gift lead to a solution for the truly great one we lost. A generous donation was made by Nicole Caldwell in memory of Stanley Fulwell. A generous donation was made by Ronald Rixon to wish Kim & Mark Rixon a Merry Christmas! 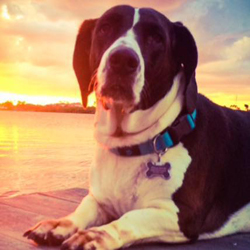 A generous donation was made by Carol Jacobs in memory of Boomer Dexter. A generous donation was made by Monica Knap in memory of Toby Milligan. A generous donationw as made by Ellen Hongo to the Hemangiosarcoma Research Project in loving memory of Cooper and Higgins Hongo. A generous donation was made by Ann Hein inmemory of Belle Hein. Belle, we love you forever and ever. A generous donation was made by Terry Fisk in memory of Arcas van Tiekerhook. A generous donation was made by Kristin Peterson in memory of Terra K. Bella Peterson. A generous donation was made by Timothy J Hedrick in memory of Lewis Hedrick. A generous donation was made by The Morris Family in memory of Macy & Hilton Werner. A generous donation was made by Jennifer Nowak in memory of Finn Naylor. 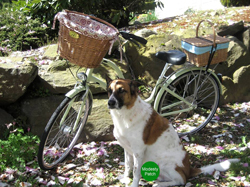 A generous donation was made by Mary Steedly to the Hemangiosarcoma Research Project in loving memory of Bee Steedly. A generous donation was made by Suzanne Vaughan to wish Martha Ann & Steve Ward a Merry Christmas! A generous donation was made by Christina Coxe in memory of Kyann Tashner. A generous donation was made by Joohi Chaudry in memory of Sophie Chaudry. Sophie, who lost her battle with cancer a few months ago was the cutest most feisty tiny pug. Everyone who knew her loved her and misses her, especially Saira, who adored her and was loved in return. 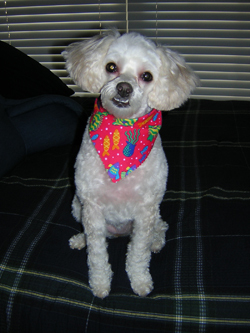 A generous donation was made by Stefanie Cove in memory of Bella Cove. In memory of my best friend, Bella. 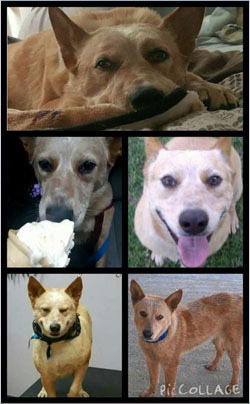 A donation has been made in each of my friend’s honor to the National Canine Cancer Foundation. 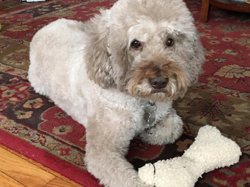 A generous donation was made by Harriet Grifo to the Hemangiosarcoma Research Project in memory of Angus Grifo who left us 12/12/2015 due to Hemangiosarcoma. A generous donation was made by Erica Mortati in memory of Reilly Mortati. 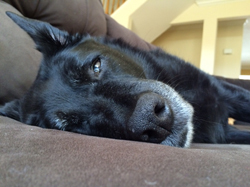 On 6/2/15 we had to say goodbye to our sweet Reilly. We miss you tremendously little man. Our lives will never be the same without you. Until we meet again dear friend.. ❤️ Mom and Dad. A generous donation was made by Louanne Pusey in memory of Charlie Pusey. 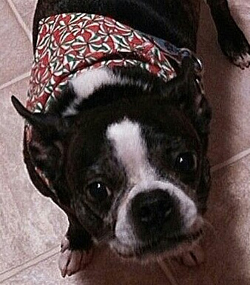 This is in memory of my Boston, Charlie aka “Sharkie”. He was my heart dog. He went to the bridge 03/11/15. He beat cancer once, but couldn’t beat the brain tumor. Love and miss him terribly. A generous donation was made by Chris Desiano in honor of Max Desiano. We are so proud of you and how brave you all are. A generous donation was made by Stephanie Lindsley in memory of Zak Kovach and in honor of Bob Kovach. Remembering you on Christmas with love and with so much respect for how you stood by Zak in his illness. 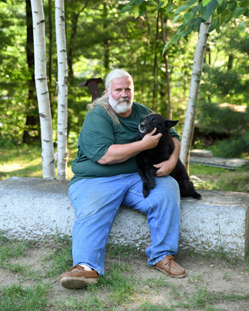 A generous donation was made by Kevin Oxford in memory of Lucky and Shasta JonPierre. 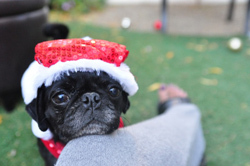 A generous donation was made by Joe Gentle to wish Petunia & Georgie a Merry Christmas! A generous donation was made by Linda Stanley in memory of Lucy Stanley. Merry Christmas Lucy. We have so many happy Christmas memories of all our wonderful years with you.You were the love of our lives, we still miss you every day. We will love you forever, Moma & your buddy. A generous donation was made by Joseph Naumann to wish Jill McMasters a Merry Christmas! A generous donation was made by Gwen Carr to wish the The Kremnitzer Family Happy Holidays! A generous donation was made by Gwen Carr to wish Heather Carr and Aaron Sanders Happy Holidays! A generous donation was made by Gwen Carr to wish Jennifer Carr Happy Holidays! A generous donation was made by Gwen Carr to wish Joan Carr Happy Holidays! A generous donation was made by Gwen Carr to wish the Abbott Family Happy Holidays! A generous donation was made by Graham Dickson in memory of Summer Dickson. Summer you taught us how to love every animal. You gave us so much and we couldnot help you in the end. We will see you again. We miss you so much. A generous donation was made by Robert Spike to wish Greg & Belinda Harris a Merry Christmas. A generous donation was made by Dorothy Drusik in nemory of Sampson Lysenko. A generous donation was made by Nicole Long in memory of Lincoln Long. I wanted to make this donation in Link’s name in Lieu of wedding favors. His bubbly and energetic personality is greatly missed. 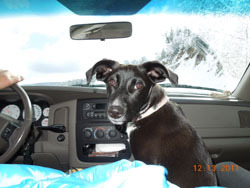 A generous donation was made Kristen Hanley for Terri and Harold – Merry Christmas in honor of Ruby. A generous donation was made by Sara Smith in memory of Lucy Smith. To Lucy-The best friend I could have ever asked for. You will forever be in my heart and soul. 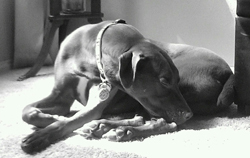 “There is no faith which has never yet been broken, that of a truly faithful dog.” Love you Lucy-loo! A generous donation was made by Sandra Lara in memory of Solovino who passed on 11/14/2015 due to leukemia. 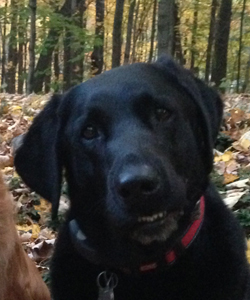 Solovino was the most sweetest, funny, mischievous, loving dog. Our family grieves daily for him. Love you. 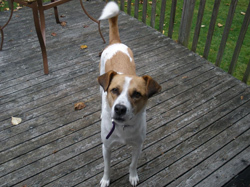 A generous donation was made by Jim Studebaker in memory of Tigger Studebaker. A generous donation was made by Christina Williams in memory of Jasmine Abigail Williams. 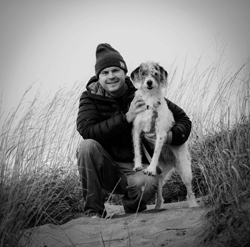 A generous donation was made by Tim Rumoshosky to the Hemangiosarcoma Research Project in loving memory of Stuart Johnson-A true Scottish Terrier and an inspiration to many all around the world whom we lost too soon. A generous donation was made by Susan Groff in memory of Stuart Johnson. A generous donation was made by Caroline Meehan in memory of Daisy Meehan. A generous donation was made by Patricia Krehbiel and the The Ladies of the Indian Hill Women’s Club in memory of Sophie Power. Amy & Greg, in gratitude for your generosity at the Carew Tower Tour and Luncheon, we are donating in memory of your dear dog Sophie! A generous donation was made by Anita Kralovic in memory of Stella Tancredi. A generous donation was made by Andrea Yankovsky in memory of Willie Yankovsky. A generous donation was made by Steven Maddox in memory of Mille Wainer-Zulli. A generous donation was made by Karen Sargent to Grant No. GL15OH-005 | Targeting Heat Shock Proteins in Canine Lung Cancer: Translating Hypotheses into Clinical Promise. A generous donation was made by Karen Sargent to wish Gary Shultis a Merry Christmas! A generous donation was made by John Grifo in memory of Angus Grifo. A generous donation was made by Laura Zolper to the Chase Away K9 Cancer Fund in loving memory of Yogi Falduto. 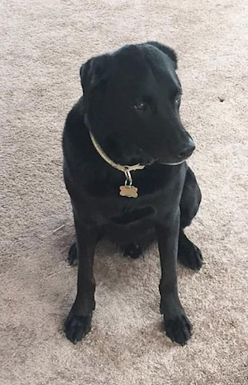 A generous donation was made by Dawn Eastes to the Hemangiosarcoma Research Project-Given in loving memory of Sadie…in honor of her lifelong friend, Kristin. 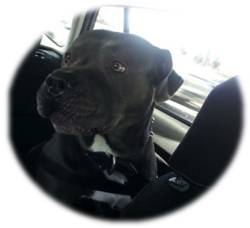 A generous donation was made by Henry Duong in memory of Onyx Tran. Thank you for giving us the best 9 years of our lives. Mommy, Daddy, and sister Lilo are missing you everyday. We will see you later “Ony” R.I.P 12-17-2015. A generous donation was made by Jessica Findley in memory of Maddie & Hamlet Hiltbrunner. A generous donation was made by Mark Cunningham-Hill in honor of Kathy Koch. A generous donation was made by Mike Miles in honor of Bob & Pat Miles. A generous donation was made by Eileen & Tom Clark in honor of Greg and Amy Power. A generous donation was made by Susan Mccutchan to the Chase Away K9 Cancer Fund in memory of Tigger Hale. A generous donation was made by Heather Rickman to wish Emily Roark a Merry Christmas! A generous donation was made by Nancy & Larry Malcolm in memory of Clyde Adler Malcolm. A generous donation was made by Gina Birsner in memory of Jake Birsner. In memory of my baby, the LOVE of my life my BEST friend. I WUV HIM SO MUCH! A generous donation was made by Mary Stanford in memory of Jessie Muskin. A generous donation was made by Donna Bengen in memory of Gypsy Altomare. 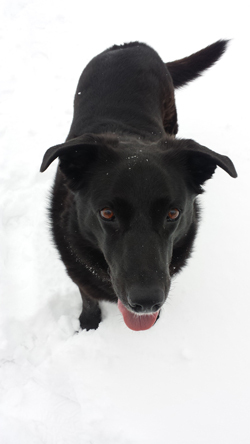 A generous donation was made by Teri Kohne – Your Dog’s Day Out- in memory of Winston Dudley. A generous donation was made by David Dieffenbach to wish Kristen, Chris and Ryder Dieffenbach a Merry Christmas! A generous donation was made by Leslie & Al Luray in memory of Ringo Callard-Woodmansee. We share in your loss. Ringo was a “special” boy, a fine GSP. We will all miss his shining personality! A generous donation was made by Kelly M. Heitkamp in honor of Essie Smith and the Smith Family. Thinking of you both this holiday season. 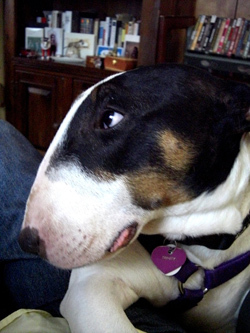 A generous donation was made by Donna Clark in memory of Pearl Pound Puppy Moustaki. A generous donation was made by The Glass Family in memory of Charmer Glass. The whole family misses your sweet Charmer and grieve along with you for her loss. Each family contributed anonymously together to show we care with this gift to cure canine cancer. We love you! A generous donation was made by Nancy McCarel in memory of Taylor McCarel. 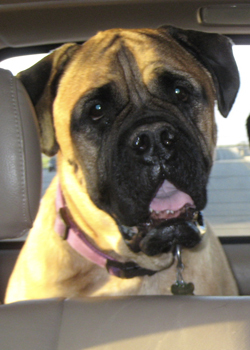 A generous donation was made by Amanda Himmelsbach in memory of Cleo Mizrahi. A generous donation was made by EM Wharton in honor of Bella Barbara. 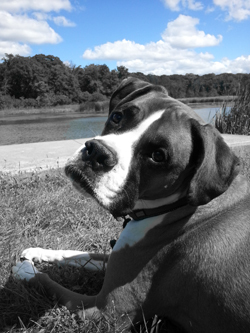 A generous donation was made by EM Wharton in memory of Gigi – the best Boxer friend, love, teacher and grandog. A generous donation was made by Matthew Russell in memory of Larus Matt-Myers. 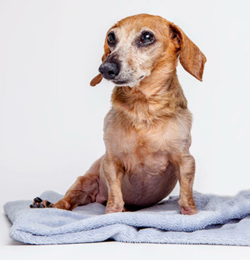 A generous donation was made by Meredith Heberle in memory of Winston Dudley aka “Hairy Winston”. 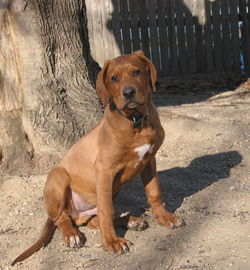 A generous donation was made by James & Sara Mihalek in memory of Seven Sather. A generous donation was made by Paula & Jerry Boyce in memory of Duncan Henderson. A generous donation was made by Susan Wade to wish Paula Johnson a Merry Christmas. 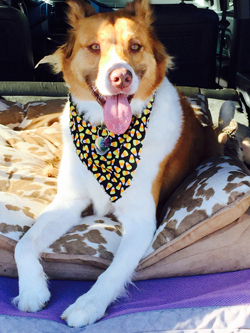 A generous donation was made by Jennifer Jones in memory of Riley. A generous donation was made by John Bishop in memory of Marcus. Our boy will always be special in our hearts!!! A generous donation was made by Anne Purtill in memory of Muffin Purtill. 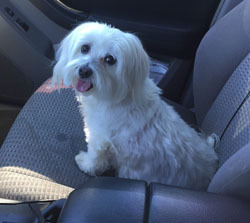 Muffin was a beautiful Maltese born on January 19, 2001 and died on November 21, 2015. 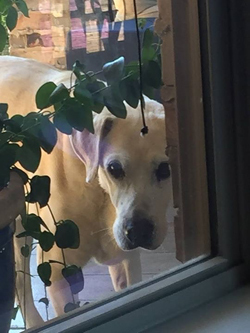 She gave us so much love and joy for almost 15 years and we know she’ll meet us at the Rainbow Bridge. A generous donation was made by The Edgar Family in honor of the The Montvale Animal Hospital Team -Especially Dr. Wallace and Dr. Daly. A generous donation was made by Jason and Cyndi Stevenson in memory of T.D. “Timmy” Stevenson. May our beloved eternal friend and companion rest in peace and safety until we meet again (soon!). 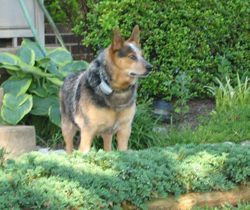 A generous donation was made by Kelly Heitkamp in memory of Blue Metzger. A generous donation was made by Barbara & Kurt Otto in honor of brave Layla Sullivan, with our love. 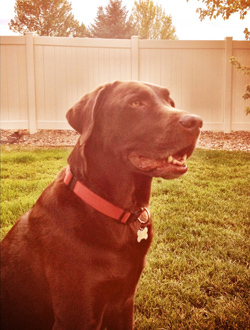 A generous donation was made by Evan Jacobson in memory of Bogey & Birdie Jacobson. You both added so much to our lives. We are happy that you are both togetheragain. We will miss you dearly. A generous donation was made by William Grossman in honor of Fort Washington Veterinary Hospital. A generous donation was made by Brigette Gleason in memory of Jack Redd. A generous donation was made by Khlaire Parre in memory of Rudi Pare-Valdez. A generous donation was made by Herman Fong in honor of Trinity (and Lyle and Mary) Westmoreland. 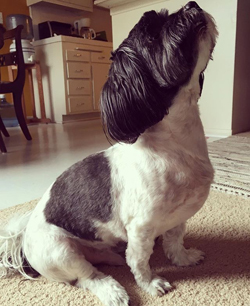 A generous donation was made by Rose Reedy in memory of Speck Reedy 12/6/2015 would have been his 11th birthday, but sadly Prostate cancer took him away from our family. If Tender love and care was the ultimate cure, you would be saved and still here with us. A generous donation was made by Mary Mastrone in memory of Sammy Mastrone. A generous donation was made by Sam Bellaccomo to the Hemangiosarcoma Research Project in loving memory of eleanor4ever. A generous donation was made by Jonathan Smith in memory of Spud Smith. 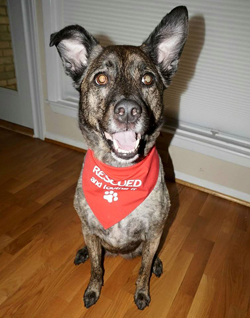 A generous donation was made by C M L’Heureux-Stevens in memory of Ruffles de Scottie. A generous donation was made by Stephanie Flora in honor of Midnight Capetty. A generous donation was made by Brittany Newby in memory of Bear Barnick. A generous donation was made by Craig & Marcie Horbus in memory of Brody Horbus. One year ago today, we lost our beloved Brody to cancer. In memory of him, we are donating to help in some small way. We love and miss our “golden son” every single day. 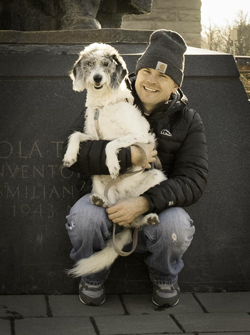 A generous donation was made by Elena Corradetti in memory of Bode Corradetti. A generous donation was made by The Bain Family in honor of Stacie Greene & Ken Bain. A generous donation was made by Thomas York in memory of Lucy Lu York. A generous donation was made by Saira Chaudry in memory of Sophie Chaudry. 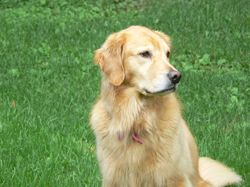 12/1/2015 would have been Sophie’s 8th birthday, but cancer took her in July. Every day I wish she was still with me, but since that’s not possible, I hope for greater strides against canine cancer. A generous donation was made by Tomas Conner to the Chase Away K9 Cancer Fund in memory of Abbey Fowler. 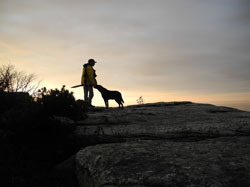 A generous donation was made by Deborah Reif in memory of Jake and Twister Kotch. 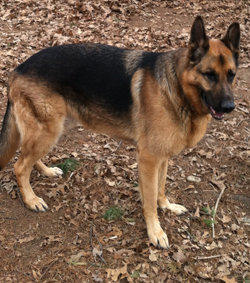 A generous donation was made by Barbara & Kurt Otto in memory of Kaizer Olinger. 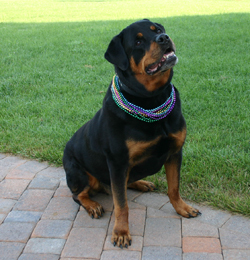 A generous donation was made by Lynda Kaye in memory of Odin the Rott-Wheeler. 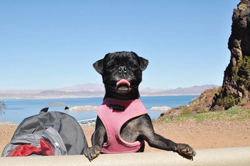 A generous donation was made by Sharon Gragg in memory of Ruffles Chua. Ruffles we will miss you here on Earth, especially your beloved family. Watch over them and send them a gentle breeze to let them know you are near. Run free lil lass. Aroooo from Kayley and MaCara. 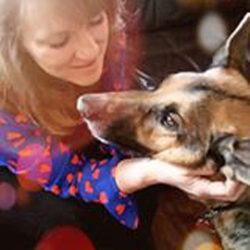 A generous donation was made by Rosalind Granitz – My Hero Dog Training in memory of Trinity Wilson. A generous donation was made by Joy & Frank Pinili in memory of Jade Pugsley. A generous donation was made by Emma Dickson to the Hemangiosarcoma Research Project in loving memory of Summer Dickson. 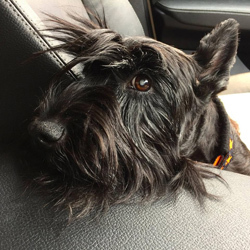 A generous donation was made by Vera Gregory-Donley in Loving Memory of Ling Chua’s beloved Ruffles – a brave and beautiful Scottie whose smile could light up the whole world. She lived with TCC for almost three years, never complained, and made the best of every day she had. Although she will be greatly missed by her family and friends let us remember her life with joy and love. A generous donation was made by Nyere Silva to the Hemangiosarcoma Research Project in loving memory of two of the great loves of our lives . . . Kaya and Lady Love. A generous donation was made by Claire Sanders in memory of Gemma Anthony.